For many women, the height of luxury is soaking in a warm and even hot therapeutic bath. For pregnant women the bath itself is very relaxing with the real allure of a half hour of no responsibility and no interruptions. A warm bath is not only safe, but very soothing for the pregnant mom-to-be. In fact, many doctors will recommend the use of a warm bath not only to soothe tired and aching muscles, but also to alleviate the pain associated with sciatica, the swelling associated with edema and for women suffering from hemorrhoids. Adding magnesium to the bath (bicarbonate included) will benefit both mother and fetus in very important ways. Pregnancy cannot be normal unless magnesium levels are adequate. The concentration of magnesium in the placental and fetal tissues increases during pregnancy. The requirements for this element in a pregnant woman’s organism generally exceed its supply; hence, pregnancy should be considered a condition of ‘physiological hypomagnesemia’. Magnesium sulfate is used intravenously to prevent hypertensive crises or seizures associated with toxemia of pregnancy. Magnesium is needed for reproductive fertility, and the use of pharmaceutical contraceptives is known to diminish magnesium stores in our body. The rate of premature births has increased more than 30 percent since 1981, but a central obvious cause is ignored by doctors. Magnesium plays a crucial role in fertility, pregnancy,,, and in early newborn life and many of the problems associated with pregnancy and birth can be resolved by magnesium supplementation. In 1991 Dr. Jean Durlach said, “Primary magnesium deficiency may occur in fertile women. Gestational magnesium deficiency is able to induce maternal, fetal, and pediatric consequences which might last throughout life. Experimental studies of gestational Mg deficiency show that Mg deficiency during pregnancy may have marked effects on the processes of parturition and of postuterine involution. It may interfere with fetal growth and development from teratogenic effects to morbidity: i.e. 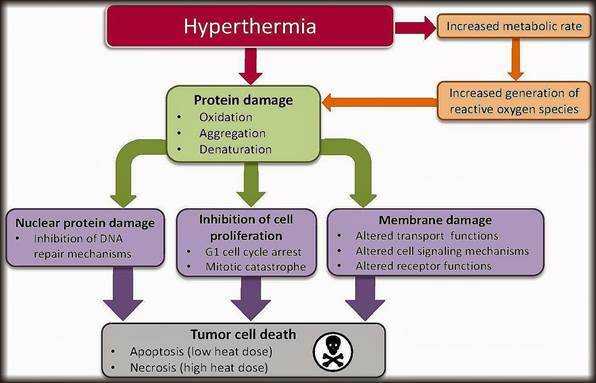 hematological effects and disturbances in temperature regulation. 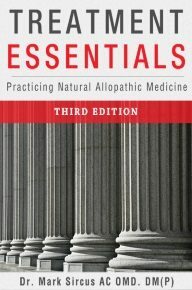 Clinical studies on the consequences of maternal primary Mg deficiency in women have been insufficiently investigated.” Magnesium is frequently used as the treatment for stopping premature labor, and the seizures of eclampsia, at the point it starts, but might be more helpful in preventing these if supplemented throughout the course of pregnancy. In 1987, Dutch researchers found magnesium prevents hemorrhaging in the brains of infants whose mothers have this form of hypertension. Several randomized controlled trials (RCTs) have provided compelling evidence that magneisum is the drug of choice for maternal seizure prophylaxis in pre-eclampsia, whether preterm or term. Scientists have shown that giving magnesium to pregnant women may greatly reduce the incidence of cerebral palsy in infants born weighing less than 3.3 pounds. These low birth weight infants are 60 to 75 times more likely to develop cerebral palsy than babies that reach a normal weight before birth–and the number of children with cerebral palsy is growing. In studies done another surprising outcome was the reduction of mental retardation when magnesium was provided during pregnancy. The results of a 10-year study published in the August 28, 2008 issue of the New England Journal of Medicine found that magnesium administered to women delivering before 32 weeks of gestation reduced the risk of cerebral palsy by 50 percent.The Beneficial Effects of Antenatal Magnesium (BEAM) trial was conducted in 18 centers in the U.S., including Northwestern Memorial, and is the first prenatal intervention ever found to reduce the instance of cerebral palsy related to premature birth. Magnesium sulfate and magnesium chloride are used in obstetrics to stop premature labor and prevent seizures in women with hypertension. The role of magnesium begins its importance when we are in the womb. When pregnant, magnesium helps build and repair body tissue in both mother and fetus. A severe deficiency during pregnancy may lead to preeclampsia, birth defects and infant mortality. Magnesium relaxes muscles and research suggests that proper levels of magnesium during pregnancy can help keep the uterus from contracting until week 35. Dropping magnesium levels at this point may start labor contractions. In the United States 180,000 women developed gestational diabetes in 2007. Gestational diabetes is a form of glucose intolerance diagnosed during pregnancy. Gestational diabetes occurs more frequently among African Americans, Hispanic/Latino Americans, and American Indians. It is also more common among obese women and women with a family history of diabetes. During pregnancy, gestational diabetes requires treatment to normalize maternal blood glucose levels to avoid complications in the infant. Immediately after pregnancy, 5 to 10 percent of women with gestational diabetes are found to have diabetes, usually type 2. Women who have had gestational diabetes have a 40 to 60 percent chance of developing diabetes in the next 5 to 10 years. The underlying pathophysiology of gestational diabetes is a function of decreased maternal insulin sensitivity or increased insulin resistance, both of which are affected by magnesium with adequate magnesium levels reducing insulin resistance and increasing insulin sensitivity. 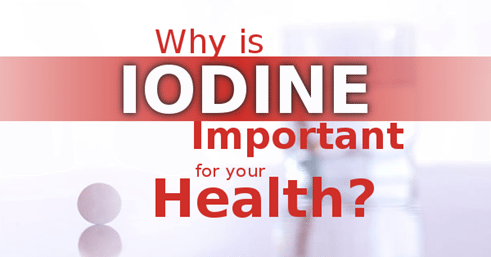 Research has found that compared with non-pregnant women, total and ionized magnesium were significantly lower in both normal pregnant and gestational diabetic subjects. Gestational diabetic women had significantly lower intracellular free magnesium values compared with nonpregnant and normal pregnant individuals both. These results support the presence of magnesium depletion in pregnancy itself and to a greater extent in gestational diabetes and very likely predisposes to the vascular complications of pregnancy. There is also a significant risk of adolescent obesity and type 2 diabetes in the offspring of these women. Gestational diabetes holds significant risks for a primary cesarean and for preterm birth in all women. Using magnesium oil in baths during pregnancy can prevent these serious complications for both mother and child. Always make sure that the bath is warm, and not too hot is the basic wisdom pregnant women need to embrace. Some women cannot take hot baths because the hot water just makes them get very weak. When you overdo it in terms of heat a pregnant woman or anyone else can get out of a tub with the feeling of one’s heart beating in their ears. Having one’s body weak and feeling exhausted is not what pregnant women want to look for. Hot water raises the core temperature in a woman’s body, and when pregnant, a woman’s body can’t dissipate the heat easily. If one is moderate with the heat there is little to fear from baths. There are myths that say you can’t take a bath while pregnant. Some actually go as far as thinking that they will drown their babies but this is not true at all says Dr. Randy Fink, an obstetrician in Miami, Fla. Dr. Fink and other experts recommend – and encourage – pregnant women to take regular baths, as long as the water is warm. “As long as she isn’t bleeding and doesn’t have a ruptured membrane, a warm bath is soothing, especially on the lower back,” says Barbara Dehn, a nurse practitioner at Women Physicians OB/GYN Medical Group in Mountain View, Calif. She does recommend that when soaking in the tub, keep the abdomen above water. Obstetrician Dr. Jeanne-Marie Guise says, “It’s okay as long as the water is close to your own body temperature, under 100 degrees. If the water is too hot, you get overheated and that increases your heart rate, reduces blood flow to the fetus, and potentially puts the baby under stress.” Basically if you get in the water and your skin starts to turn pink, it’s too hot. If that happens, get out and let it cool a little bit. Since our bodies can regulate our body temp but baby’s can’t, we have to be extra careful that we’re not shocking the little one’s system. Many will disagree with the no higher than 100 degree recommendation. Most women don’t worry about this issue and take baths that feel right to them – not hot enough to burn but warm enough so they don’t feel cold and don’t shiver. All experts aside a woman is the expert when it comes to her own body and growing baby inside her womb. Her instincts will usually serve her well. Does not take too much common sense to get out of a bath if it’s too hot! What Dr. Guise did not say is that you’d have to sit in the 100+ degree water for quite a while before the external temperature might affect the amniotic fluid your baby resides in. Immersion in warm water deep enough to cover the woman’s abdomen is used to enhance relaxation, reduce labor pain, and promote labor progress. Baths have become a popular option in many countries, including the United States. Women usually remain in the bath for a few minutes to a few hours during the first stage of labor. The first scientific publication on the use of water in labor was published in 1973. 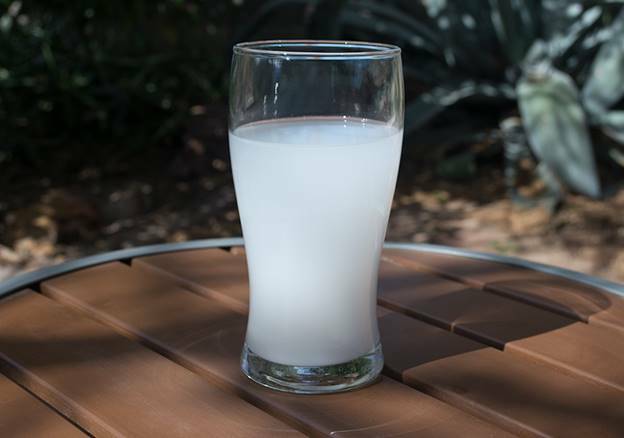 It reported on the first 100 births in which water was used for labor in a hospital in France. Since then, bathing during labor has been widely studied for its benefits and risks. A recent systematic review analyzed findings of 2 prospective cohort studies and 7 RCTs of bathing published between 1987 and 2001. A total of 3496 women participated in these trials. Women found a reduction in pain indicators in the bath groups. Maternal satisfaction was high in the bath group, with 89% stating they would like to use the bath in a future labor. A qualitative survey of 189 women was published recently in England. Eighty-one per cent stated they would have another water birth in the future. When asked to describe their feelings when they entered the pool, the most common words were “relaxation,” “relief” or “pain relief” and “warmth.” Thirty-nine said they felt more in control. The use of water requires special equipment in the form of bathtubs. The results of these studies indicate that, with appropriate attention to water temperature, duration of the bath, and safety considerations, baths in labor are effective in reducing pain and suffering during labor, and should be available as a pain relief option to all laboring women. The Royal Women’s Hospital in Australia agrees with all of the above indicating that immersion in a bath of water or shower during labor provides an alternative option for pain relief and relaxation during labor. The safe use of the shower or bath can increase a woman’s sense of comfort, mobility and privacy, and may offer an opportunity for a more satisfying birth experience. Birth in the water is not currently recommended at the Royal Women’s Hospital, although laboring in the bath or shower is encouraged. One can read all about magnesium for health and treatment of disease on my Magnesium For Life site or go directly to LL’s Magnetic Clay to buy some for mother and baby. Women are another group of drug consumers who should be especially concerned with drug-induced nutrient depletion. Few women know that oral contraceptives lower the levels of such vital nutrients as Vitamin B2, B6, and B12, Vitamin C, folic acid, magnesium and zinc. Mainstream hormone replacement (chiefly Premarin, but also Estratab and raloxifene) can also lead to deficiencies in Vitamin B6, magnesium and zinc. Drugs That Deplete-Nutrients That Heal a review of the book Drug Induced Nutrient Depletion Handbook by Pelton et al. Infants at greatest risk of neonatal hypomagnesemia are low-birth-weight infants, including those suffering from intrauterine growth retardation (IUGR) or premature infants recovering from birth hypoxia or later respiratory distress, and infants born to very young primiparous women or to young mothers who have had frequent pregnancies or multiple births, to preeclamptic mothers, and to diabetic mothers. The incidence of neonatal magnesium insufficiency may be greater than suspected. The tendency of women with preeclampsia or eclampsia to develop rising plasma magnesium levels during the last month of pregnancy, even without magnesium therapy, despite which they retain high percentages of parenterally administered pharmacologic doses of magnesium, suggests that magnesium deficiency might be far more common during pregnancy than is indicated by the incidence of hypomagnesemia. 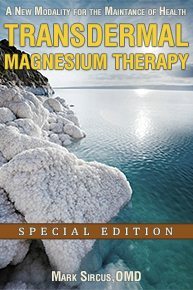 MAGNESIUM DEFICIENCY IN THE PATHOGENESIS OF DISEASE, Seelig, M; Part 1, chpt. Preeclampsia, also known as toxemia, is a complex disorder that affects about 5 to 8 percent of pregnant women. You’re diagnosed with preeclampsia if you have high blood pressure and protein in your urine after 20 weeks of pregnancy. The condition most commonly shows up after you’ve reached 37 weeks, but it can develop any time in the second half of pregnancy, as well as during labor or even after delivery (usually in the first 24 to 48 hours). 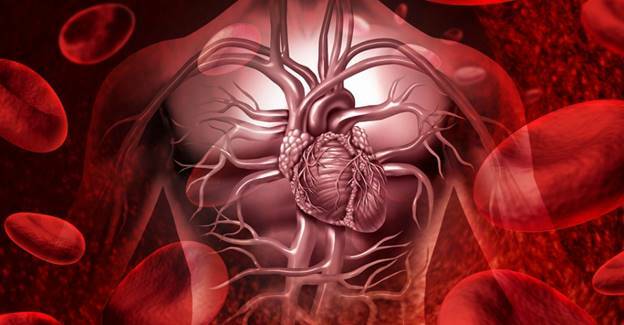 Preeclampsia causes your blood vessels to constrict, resulting in high blood pressure and a decrease in blood flow that can affect many organs in your body, such as your liver, kidneys, and brain. When less blood flows to your uterus, it can mean problems for your baby, such as poor growth, decreased amniotic fluid, and placental abruption — when the placenta separates from the uterine wall before delivery. In addition, your baby may suffer the effects of prematurity if you need to deliver early to protect your health. Extracellular and intracellular magnesium depletion in pregnancy and gestational diabetes; Bardicef M et al; Am J Obstet Gynecol. 1995 Mar;172(3):1009-13.